Does anyone know when the full OST with BGM will release? I love this instrumental! Hello! This marks my very first article ever... to say that I am a little nervous would be an understatement. But I adore this drama so much that I just had to give it a try! This article is an odd mix of a review and things I think might help readers want to see this heart wrenching story (if you don’t mind reading some spoilers beforehand). Before we begin, I want to say that I am in no way a professional at writing, nor do I know every detail about the lives the drama is based on. I could have some facts wrong as I get my information from the internet (which isn't the most trustworthy source sometimes). Lastly; My opinion might be biased because I am a hopeless romantic to a fault. All episodes of The Hymn Of Death are available to watch now on Netflix Korea as well as other streaming sites and will also be on Netflix in Asia and English speaking territories December 14 and all other territories including Europe on December 28. 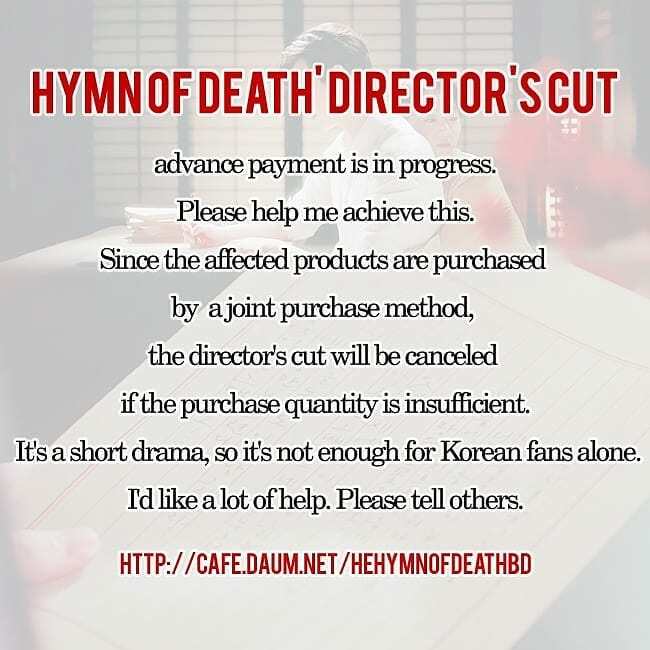 The Hymn Of Death' drama title pulls inspiration of the title from Yun Shim Deok’s song "In Praise of Death" (Hangul: 사의 찬미; also known as "Death Song" and “Hymn Of Death”). The song is said to have been recorded in Osaka during August of 1926, three days before Yun Shim Deok and Kim Woo Jin left Japan. Before we get into discussing this drama, I feel we should cover a few bases in regards to warnings and possible heavy content in this drama. In lieu of not wanting to give away too much information, I will jot down a few things that might strike as a need for a warning or possible triggers. These are either mentioned, hinted at, or actually in the drama itself. Heartbreak, controlling parents, adultery, suicide, politics (1920's Korea during the Japanese Rule), and abuse of power. Basis: Based on lives of Kim Woo Jin (Kim U-jin, 김우진), who has been credited as the first professional literary critic and the first playwright in the history of Korean literature, and Yun Shim Deok (Yun Sim-deok, 윤심덕), who has been credited as Korea’s first professional soprano. The story follows through the span of 5 years (1921-1926) that the two knew each other. Synopsis: Genius playwright, Kim Woo Jin, attends Waseda University for English Literature, while pouring his mortification at not being able to assist in the resistance through his writing. He is the eldest son of a wealthy family that is against his love for writing. Aspiring soprano, Yun Shim Deok, attends Ueno College of Music for Vocal Music to better her singing ability. She is the eldest daughter in a family that struggles to get by. The two meet through a mutual acquaintance and form a bond that at first, they try to forget and move on from, but soon realize it is much easier said than done. Kim Woo Jin and Yun Shim Deok are both from different worlds with pressure from their respective situations and on top of all that; their fight in the struggle to bring some peace of mind to the Joseon people. When the world feels like it is crumbling down around them, their fates take a tragic turn. 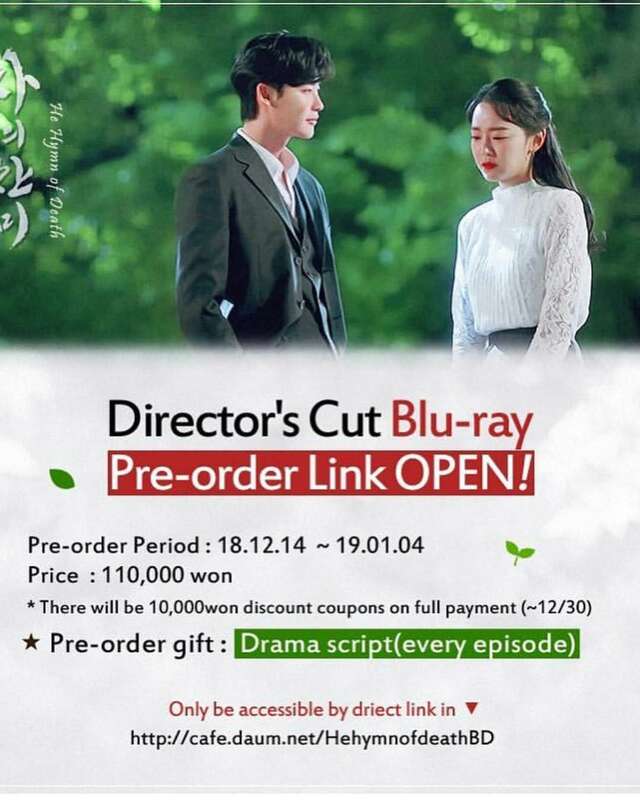 Before you get into the drama, the note about the episode one lets us viewers/fans know that this is a work that is fictional and is only based on the lives of Kim Woo Jin and Yun Shim Deok and that some parts of the drama may be different to actual events. Shin Hye Sun as Yun Shim Deok is something to truly behold. Not only does she give an amazing first impression of her character, but at the end of just the second episode, she will literally break your heart with her profound performance. There are numerous scenes in which she uses both her body language and her emotions to portray the worries and stress that has been placed upon her character as a sole provider in the Yun household (which makes you sympathize and also go through these emotions with her), but also as someone who has truly fallen in love with someone that she thinks she can never have due to his status in both the world and in his family (married). Lee Jong Suk as Kim Woo Jin is absolutely wonderful to watch. He truly brings to life a character that can really tug at your heart strings. He makes it easy for you to see and sense the hesitation in his character when it comes to falling for Shim Deok, so that you know of his inner struggle. Not only that, but his lack of holding back during emotional scenes showcasing the passion his character holds for his work and doing something in the fight during that era (see episode 4) will absolutely break your heart. Through his acting, he portrays the burden and pressures of filial duty with such honesty that the viewer can feel the weight on his shoulders as if it is their own. Although, these amazing actors might not get as much screen time as our leads, they still leave their lasting impressions during the scenes they are in. From the strong performance that causes you to feel frustrated at Woo Jin’s father (Kim Myung Soo) for being so strict, to feeling slightly sad over the hurt Kim Hong Ki (Lee Sang Yeob) feels for liking Shim Deok initially. Bonus fun fact! Lee Ji Hoon (recently seen in KBS2’s Your House Helper) portrays Hong Nan Pa (Korean composer, violinist, conductor, music critic and educator) who was known as a composer of Bongseonhwa (봉선화, literally Garden Balsam) which is considered the first true Korean original song composed in Western style. Not only does this drama know how to target your heart with everything mentioned so far, but it also knows how to give a meaningful soundtrack as well. Three songs were featured on the OST at the time of creating this article (they are listed below). Each song has an instrumental version as well. I personally haven’t been able to stop listening to The Heart Only Knows on repeat. What is your favourite from the soundtrack? Ah, this has to be one of the most difficult things to do. Narrow down so many favourites into a list of the top 5 from this drama. They are not in any particular order. All thoughts expressed during this are of my own take on the drama/characters/scenes and do not reflect others’ thoughts. The first scene(s) that I will mention are the ones where she begins to worry because Woo Jin has missed practice for two days. She visits his house and when he doesn’t answer, she walks in. As a viewer, we can see the books are not on the desk (reference to his father’s letter, telling him not to put the books on his desk) but she begins to pick them up and place them there. This could probably be seen as two things. One; a nod towards how their relationship might be in the future with her wanting for him what he wants, so in lieu of that, helping him see that it is okay to go after what he wants. Two; the fact that the drama is showing us exactly how hard he tries to be a good son even when he knows his father has no way of knowing he didn’t stack the books on the desk. I prefer to accept the latter as I believe since the father hasn't been present in a scene just yet, we needed to see just a slight insight into his situation and this scene gives us an idea. The scene where they are interrupted by officers I believe is a turning point in their plan to put on a play for the people of Joseon. It also gives us a sense of how unsafe what they are doing is, if they can be interrupted at any second. Since the scene showcased exactly how dedicated Woo Jin is towards his work and belief in participating in some way with the resistance, standing at gun point without flinching -- I believe it not only opens the viewers eyes, but also Shim Deok’s eyes as well since in the following scene, she is the one to speak up and encourage everyone else to continue on with the performance. This in turn seems to cause him to become more fond of her and her of him. On a walk they have following this scene, Shim Deok thanks him for changing her outlook on the situation and he thanks her for noticing his sincerity. So I'm cheating slightly and referencing two scenes in one go since these two correspond with one another. Their meeting after 5 years of not seeing each other holds so much weight. Had she not chased after him in the middle of her performance, they would not have been able to continue on as they did. The fact that when they do face each other, you can sense their hesitance in doing such, as well as the awkward situation they can feel between them even after so long apart. Much like we saw when Shim Deok brought him porridge while she thought he was sick -- here we see Woo Jin mentioning how she should change her outfit before they go for a walk because he is afraid she might trip. This is much different than the emotions he had shown years before, this time he is actually voicing his concerns and letting her know that the promise that he kept isn't the only thing he has cared about during their absence from one another. When they are seemingly nearing the end of their walk, Shim Deok takes the initiative and as she tells him how seeing him made her heart race, Woo Jin is completely still. It's not until she starts to tear up, speaking about how she had never truly been able to forget him when we see Woo Jin visibly swallow back his need to cry too. But holding it back doesn't seem to be enough as he stops himself from speaking a couple of times before wrapping his arms around her in a hug. Woo Jin proceeds to tell her to leave it as it is then and that he will too; which without saying as much, it's his own way of telling her he hadn't forgotten about her either. In this scene, it mentions how Woo Jin is a good son and a good person. Our female lead asks him no begs him to hold her tight and tell her to not leave him. It's when he seems to most confused that she confesses that a family wants her to marry their son and that they are wealthy. She also lets him know what marrying the son would mean for her younger siblings. Before he can say anything in regards to money, she quickly states how if she had said anything -- he would have gone out of his way to get it to her. But having his money in her hands would have made her feel disgusting and ashamed. Shin Hye Sun has already given so much of herself to the drama so far, but this scene, this emotional roller-coaster is one of the best ones she delivered throughout. You can see and sense the desperation of this scene from the actors in the way they use their emotions and body language to help us feel it in the moment. To top things off, it is set to the backdrop of the ocean on a beach -- waves crashing in the background sound. The last of the top five... Here, we have a big favourite of mine from Lee Jong Suk. In this scene, his father is angry over the fact that his son had been sending his writing in to be published in literary magazines under a pen name thinking he wouldn't find out. But after everything that Woo Jin has gone through and what he has been denied, he finally breaks that wall he has kept up for so long. His entire body shakes along with his voice and lips and finally tears flow more freely than they had in scenes before. It's such an important scene, because, throughout the drama, we have seen him as the good person and good son that he is. He tries his hardest to please his father, but finally it has become too much and he cannot take it anymore. So for him to break, talk back, and to truly scream at his father is a huge telling sign of just how much stress and pressure has been put on him to bring him to this sort of breaking point. But what his father doesn't understand is that he feels very passionately about writing, about participating in regaining Joseon's independence that he cannot physically take part in and about not being able to be with the one person he loves. And after it all, after expressing his unhappiness -- what does his father do? Writes it off, ignores it. Says he's drunk. How FRUSTRATING! BONUS Scene: Because I dislike sticking to lists when it comes to favourites and HAD to mention this one. Shim Deok is lying with her head against Woo Jin's back, has been sitting this way the entire time he has been writing (apparently). We see them both looking comfortable and at ease after finally making a decision that they believe is the only choice they had. Shim Deok says she had come up with a poem while he was writing and then proceeds to recite it, but once she says that is all she could come up with, Woo Jin joins in. The words they are speaking are the lyrics from the song "Hymn Of Death"
Please note this has been added in for a little quick attempt at humour at the end of this article. The true events have swayed you to watch the drama and then follow up with a Google search. The cast is enough to make you fall in love at first glance. Someone told you about the dance scene near the end of episode 2. You cannot get the OST out of your head now, thanks to a few of your chingus (친구) (or you can hear me with the volume all the way up from where you are in the world). The attire in the 1920's really makes you love this drama already. You really adore tragedies that make your heart break into a million pieces. Now you’re curious if there really is a dance scene near the end of episode 2. You just like torturing yourself to see if one day you might actually cry a river. Go watch episode 2, I know you’re curious about that dance scene now. Come on! If you have agreed to at least three of these, you’re ready! Go press play on episode one and grab your tissues. If you’ve already watched it, you must be planning a rewatch to test the crying a river theory. (same, honestly - two rewatches aren’t enough - ouch my heart). If you have watched this drama: Did you enjoy it? 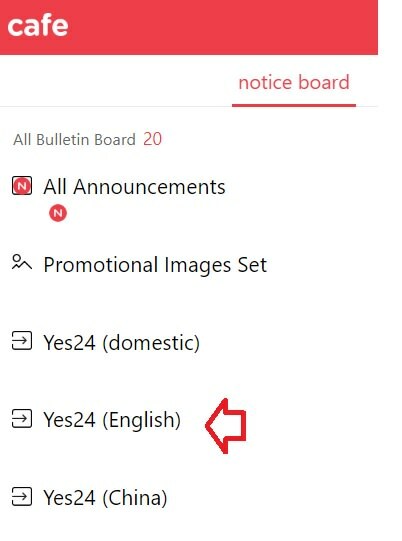 If not or if so; Why? What were your top 5 scenes? Who is your favourite character? Do you have a favourite song from the OST? If you could name 5 reasons someone should watch, what would they be? If you have not watched this drama: Will you watch it? If not or if so, Why? Have you started it but not completed it due to any reason in particular? If you could give someone reasons not to watch this drama, what would they be and why? Let’s talk about this drama, whether we like, love or hate it or if you’re neutral. That's all from me for now... until we give our heart a voice again, thank you for reading my fellow drama lovers and enthusiasts! 화이팅 (hwaiting)! 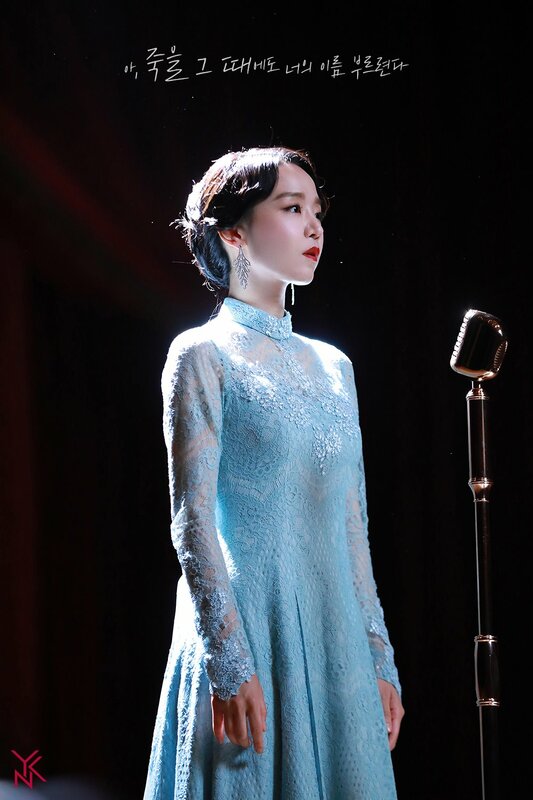 Also for comments that Shim Duk's role played by Shin Hye Sun is 'too modern' in this drama, I think the above highlighted sentences already proved that the script and the acting and also SHS appearance (joyful, open, tall, stylish, beautiful) are so perfectly matched the real Shim Duk. Where can I read Kim Woo-jin's work, like poems and such? Is there a link to where I can read some of his work? 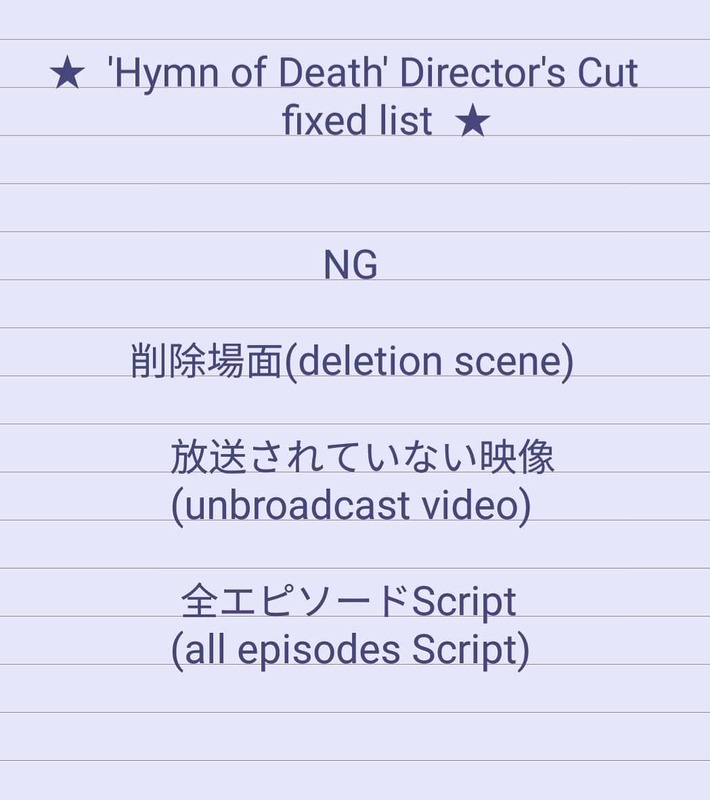 The back ground poem in the final dance scene of "He Hymn Of Death" is a poem "Nostalgic name" (Ca-ro Nome) written by Kim Woo-jin for his play "Shipwreck"
Perhaps it is a struggle to find human value, and it is also the result of the absence of love for the family.